Amazon River Tour Myth: Piranha Eat Humans! During your Amazon River tour you will almost certainly come across Piranha. In fact, most cruises allow you to fish for them. They are a freshwater fish that inhabits South American rivers, particularly in the Amazon Basin. Piranha normally measure from 5 to 10 inches in length and are commonly known for their voracious appetites and sharp, protruding teeth. There are various myths about piranhas, such as how they can devour a human body or cattle in seconds. It is often thought that these menacing fish are attracted by blood, which excites them into a flesh-consuming frenzy. These myths refer specifically to Pygocentrus nattereri, otherwise known as the Red Bellied Piranha. Hollywood plays an important role in fomenting and reinforcing these myths with low-budget, inaccurate productions such as: Piranha (1978) and Piranha II: The Spawning (1981); a 2010 remake titled Piranha 3D; and the highly-anticipated Piranha 3DD. While these quality films do provide hours of mind-numbing entertainment, they do not do the poor Amazonian fish justice! Fortunately, these myths are quite far from the truth, and we can assure Amazon Riverboat travelers that they face no significant threat from this otherwise tiny fish. Piranha have a reputation as ferocious predators that hunt their prey in schools. Recent research, however, which "started off with the premise that they school as a means of cooperative hunting", discovered that they are timid fish that schooled for protection from their own predators, such as cormorants, caimans, and dolphins. In fact, not all piranhas are meat-eaters. For example, the Tometes camunani species that inhabits the rocky rapids of the Brazilian Amazon is strictly vegetarian, dining almost entirely on delicious aquatic herbs. Piranhas are "basically like regular fish with large teeth". Of course, there have been instances where people have been bitten by Piranha, but these appear more times than not to be cases of mistaken identity or mishandling by fishermen. The truth is, most Piranhas have more to fear from humans than we do from them. Piranhas have been harvested for centuries in the Amazon, both as a food source for subsistence fishermen and to produce tools from their exaggerated teeth. In recent decades, Piranhas have also appeared in the commercial pet trade as an aquarium specimen. Piranhas are important ecological components of their native environments. Although largely restricted to lowland drainages, these fish are widespread and inhabit diverse habitats within bothlotic and lentic environments. Some piranha species are abundant locally, and multiple species often occur together. As both predators and scavengers, piranhas influence the local distribution and composition of fish assemblages. Certain piranha species consume large quantities of seeds, but normally chew and entirely devour all seeds eaten and consequently do not function as dispersers. 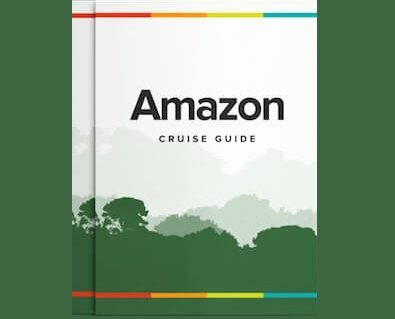 So, Rainforest Cruises would conclude that while it is possible to be bitten by a Piranha if you stick you finger in its mouth, or swim in a heavily chummed area, the likelihood of you being eaten alive while taking a dip in an Amazon tributary is extremely slim. The Amazon is home to an array of wonderful animals, all carefully adapted to their environments. While the jungle does harbor a few considerable dangers, the myth of the human-eating Piranha is undoubtedly overdone.